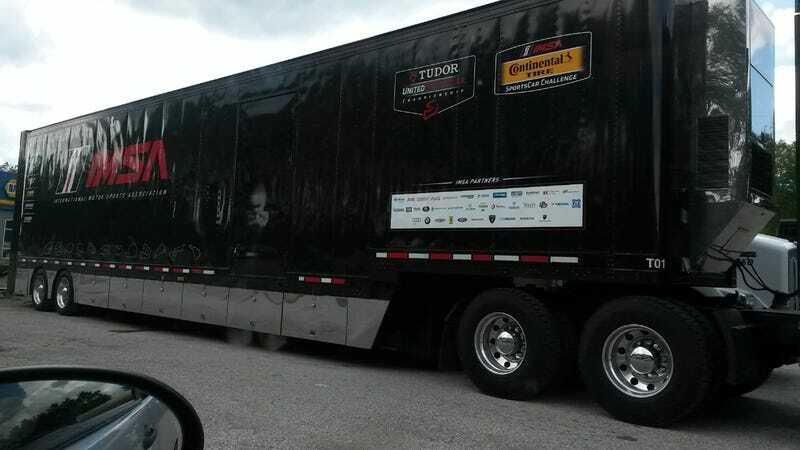 Did you happen to see this truck when you were at the Glen? It was parked at our local Shell station today. I’m assuming that it came from Watkins Glen but I’m not sure why it’s here because there really isn’t a road in Warren County, PA that goes anywhere important at any acceptable rate of speed. It was quite cool to see though, not something that comes through every day.